The radio brand launches the second phase of its 'Rag Rag Mein Daude City' campaign. Just like every city has its unique identity, radio, in its very essence, is local. 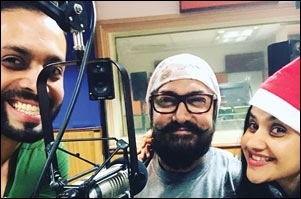 It is this sentiment that Radio City 91.1FM, a part of Music Broadcast Limited (MBL) and a subsidiary of Jagran Prakashan, has taken to the next level by redefining 'local' for India. In May 2016, Scarecrow crafted the positioning "Rag Rag Mein Daude City" for the private FM channel. Radio City 91.1FM has now launched the second phase of the campaign. Titled - 'Taxi Driver' - the new brand film takes listeners on a sensorial journey of the city. It emphasis on the brand philosophy, 'Jinki rag rag mein city daudti ho na, woh aankhon se hi nahin, saanson se, zubaan se aur kaano se bhi city dekh lete hain' (if a city runs through our veins, then we can see and experience it even with our eyes closed). "When we articulated the positioning in the first phase i.e. 'Rag Rag Mein Daude City', it was supported by print ads and a soulful song sung by Sukhwinder Singh. To further amplify it we used the video format," says Manish Bhatt, founder-director, Scarecrow. "A blindfolded taxi driver takes us on a tour of SoBo for Radio City." "This year we wanted to take 'Rag Rag Mein Daude City' to an experiential level. For this, we did a social experiment with city connoisseurs. So, after studying, we zeroed in on the idea of having a taxi driver as the protagonist because he is the one who knows every nook and corner of Mumbai. Thus, the 'Taxi Driver' is used as a true representative of the city connoisseur. It's also a way of saying that we humans are superior to artificial intelligence," Bhatt adds. The role of the taxi driver is played by Surendra Rajan, the actor who immortalised the dialogue "Bas kar pagle, rulayega kya?" in Munnabhai MBBS. A painter, sculptor and wildlife photographer by profession, Rajan has also worked in a few memorable ads such as 'Respect the National Anthem'. But why did it take more than a year-and-a-half for Radio City to launch the new brand campaign, is what we wanted to know. "A year-and-a-half ago we actually fine-tuned our focus and got 'City' in our brand name with the insight that the city runs in our veins. Further, we have been continuously pushing the whole philosophy of 'Rag Rag Mein Daude City'. During this time we have created numerous properties which actually push this proposition forward and revolve around this central theme," explains Abraham Thomas, CEO, Radio City. "This new campaign is aimed at building up the same philosophy. You can experience the city with your eyes closed," Thomas adds. In terms of demographics, the private FM channel is targeting people between the 20-44 age group as its core TG. However, in terms of psychographics, its main targets are those people who are passionate about the city in which they live, people who know the city in and out. 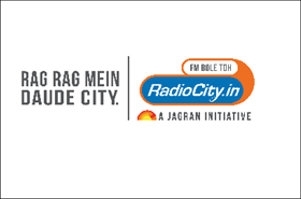 "Radio City 91.1FM launches the second phase of 'Rag Rag Mein Daude City' campaign." To make this idea more experiential, the thought will be adapted for print, on-air, digital, and on-ground. Although digital will remain the mainstay for the campaign and the brand film will be carried on digital assets, including social media assets, it will be taken forward through RJ interactions, the 'Kano Se Pehchano City' Contest, etc. Further, this campaign will be carried forward on other platforms such as cinema and television, in the next phase. Client Team: Abraham Thomas, Kartik Kalla, Varsha Ojha, Tipti Agarwal, Amreen Shaikh, Anay Pantojee.